On Wednesday August 5th, i will embark on a 760km journey through all the counties of Munster that will last five days culminating with an ascent of the viciously steep and much vaunted " Patricks Hill " in Cork City. I will be joining 120 cyclists in this, the 15th edition of "the Tour de Munster". On Thursday September 24th i will travel to Dublin and ride 655km through all the counties of Leinster in the second "the Tour de Leinster" to again raise funds for Down Syndrome. I am taking these challenges on to raise money for Down Syndrome Ireland to help them provide much needed services for those affected by this debilitating condition in Cork City. 100% of all the donations i receive will go directly to provide these services. I personally will cover all of the costs related to doing these cycles which include food, accomodation, cycling gear and training rides which will amount to over €1500. This is Abigail Curtin - O'Çonnell. She is a very sociable 9 year girl old and has Down Syndrome. She has multiple heart defects and has had many operations to fix them. She is getting by with only one half of her heart working properly but is doing very well and is a very happy and healthy looking little girl. 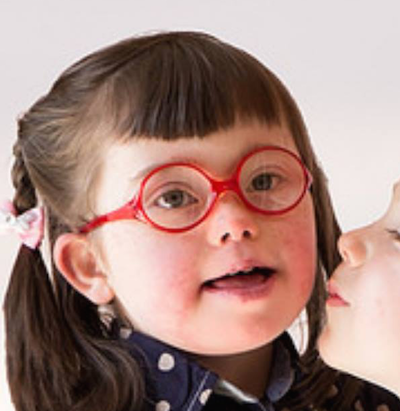 Abigail avails of most of the services Down Syndrome Ireland provide in Cork such as speech therapy, physio, occupational therapy and school. I am delighted she and her family are allowing me to ride the tour for her. As a prologue I will be among a select group that will start the cycle from Cork the day before, adding on 120km to the tour. 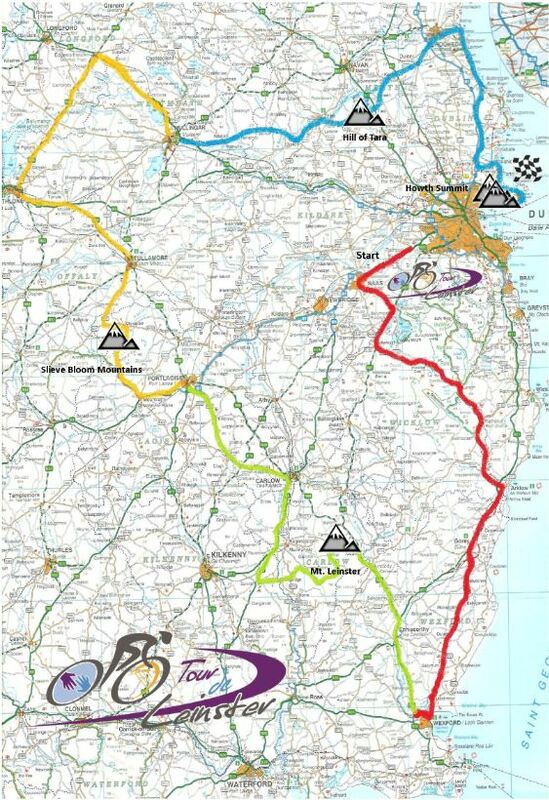 The first day of the fifteenth "Tour de Munster" will start in Waterford, take the cyclists through Tipperary and Limerick and on to Killaloe, County Clare. 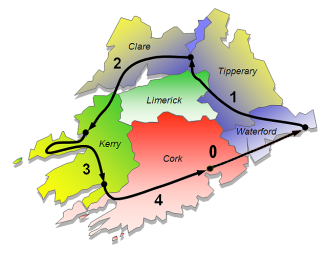 On day two we will go through Limerick and North Kerry to Tralee. Day three will see us face more big climbs over the Conor Pass and Molls Gap as we make our way via Dingle and Killarney toward Kenmare. Day four will start with a climb over the Caha Pass and finish on Patrick's Hill in Cork city. The opening day of the second Tour de Leinster will see the participants depart Dublin City before a short stop in Naas town to say hello to the Kildare Branch DSI. From there the route crosses into County Wicklow where the climbing begins in earnest on Hollywood Hill before crossing the Wicklow Gap into Laragh. Rolling countryside then affords the cyclists some rest as they pass through the ‘Garden County’ of Ireland and then onward to Wexford for the first overnight. The second day is where the real ‘fun’ begins as the participants depart Wexford before taking on the legend that is Mount Leinster. This famous ascent has featured in many epic races over the years so our team will truly be following in the tyre tracks of history. Rolling countryside and some smaller ascents will see the cyclists to Portlaoise for the night..
After a relatively easy opening stage on day three to Mountrath, the event turns northwards into the beautiful Slieve Bloom Mountains where the climbers get to stretch their legs once more, before descending to Tullamore and onwards to Athlone. Heading northwards once again, the route will bring the pelotons along the banks of the mighty Lough Ree, into County Longford and on to Mullingar for the last overnight stop. The opening part of day four will allow the participants an opportunity to shake off the lactic acid that has been built up over the previous three days before they take on the Hill of Tara. The area is steeped in mythology and historical significance having once been the seat of the High Kings of Ireland, however we doubt there will be many ‘in the seat’ on this particular day! Retracing the steps of Queen Maeve and her army, the route goes on to Drogheda before turning south along the coastline overlooking the Irish Sea. Stunningly scenic, the coastal stretch should afford everyone the chance to regain their strength (and hopefully top up their tans) before arriving in Dublin where the last hill awaits in Howth. Not the longest climb in the world but one that will be a tough test after four days in the saddle and of course we will be bringing you the toughest way up it!